I have a sad confession. 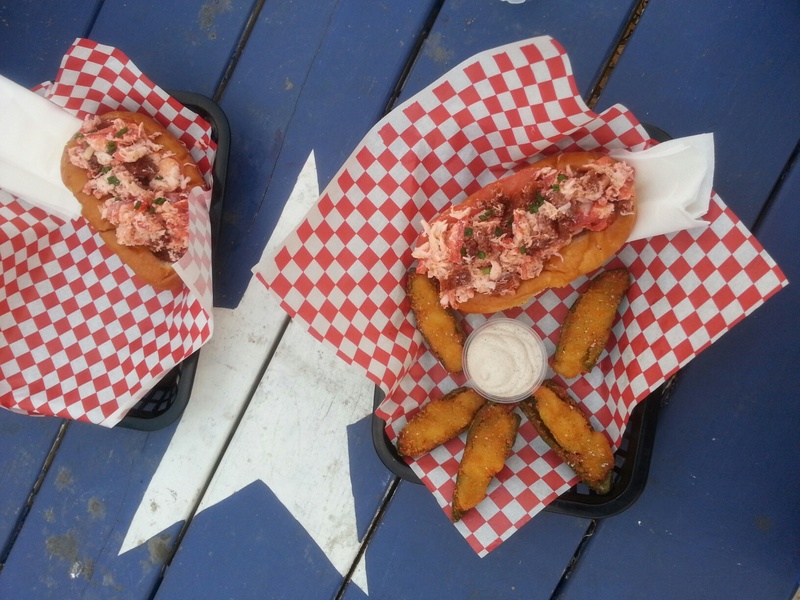 I have been to Boston five times and have yet to eat a lobster roll from the East Coast. Bad Linda! I will have to make this a priority next time I visit my best friend in Boston. 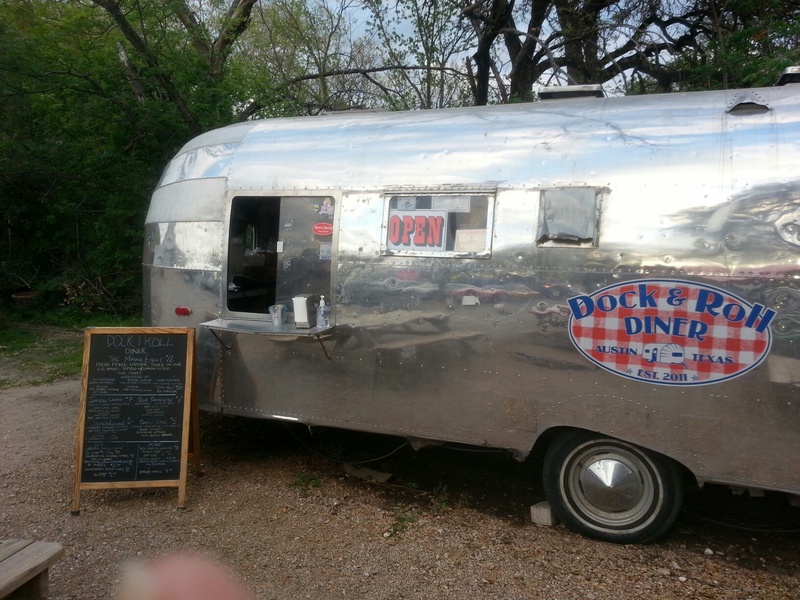 For the time being, I have Dock and Roll Diner to provide the delicious lobster rolls. 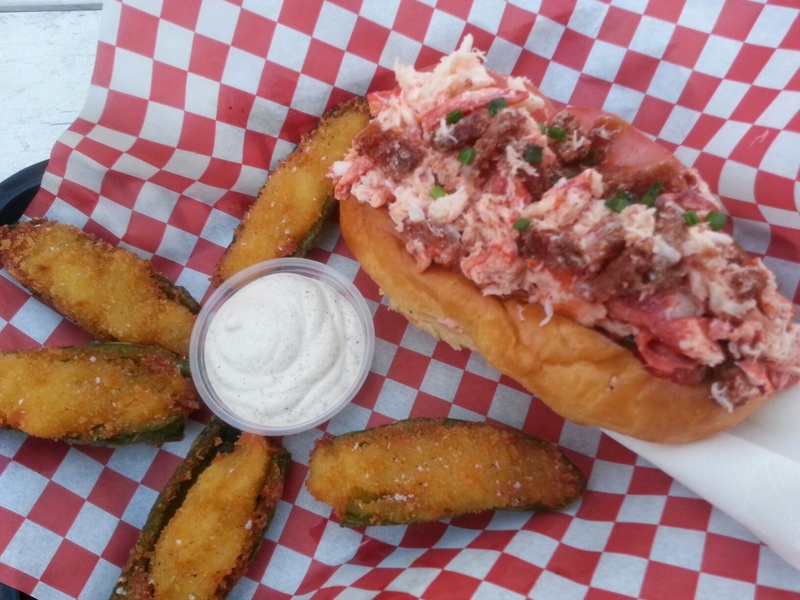 I normally order the Maine Event which is their main(e) star, consisting of a fresh rolls stuffed with giant chunks of fresh picked lobster, tossed in their mayo sauce, and topped with lemon butter and chives. Finger-licking good and only twelve dollars! The last time I was there, I ordered off menu and tried “The Real BLT”, which is the same thing as the Maine Event, but topped with chicken friend bacon. Suffice to say that the Real BLT has now trumped the Maine Event as my regular order. I also tried out the mac and cheese jalapeno poppers pictured above last time. It was a tad bland. I recommend skipping the poppers and save room to grab a donut from Gourdough’s, which is conveniently located in the same lot. Perhaps make it a bacon themed dinner and order the Flying Pig (donut topped with bacon).